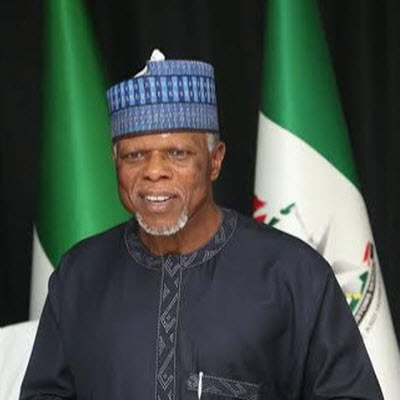 President Muhammadu Buhari has ordered Customs Comptroller General, Hameed Ali, the accountant general of the federation and 12 other heads of agencies under the Ministry of Finance to submit their handing over notes latest by April 23. The directive was contained in a circular with reference no: FMF/PSSD/HON/32 dated April 8, 2019, and signed by the Minister of Finance, Zainab Shamsuna Ahmed. According to the circular which was exclusively obtained by the Daily Times on Wednesday, permanent secretaries and heads of extra-ministerial departments and auditor-general of the federation were also directed to send in their handover briefs. 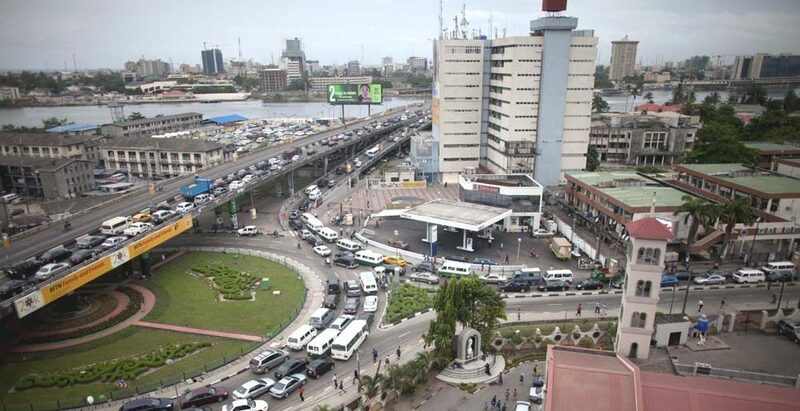 Others affected by the circular include, the Debt Management Office, Federal Inland Revenue Service (FIRS), Security and Exchange Commission (SEC), Nigeria Deposit Insurance Cooperation (NDIC), National Insurance Commission, Investment and Security Tribunal, National Economic Reconstruction Fund, Nigeria Export-Import Bank, Pension Transitional Arrangement Directorate (PTAD), Assets Management Corporation of Nigeria (AMCON), Development Bank of Nigeria and Nigeria Sovereign Investment Authority. The minister revealed that the development was to ensure a comprehensive handing over notes for the smooth and effective transition to the incoming administration on May 29. The handover notes she further revealed are to be prepared in soft copies, hard copies must as well contain lists of files under the custody of all the MDAs. The memo reads in part: ‘’Following the recently concluded presidential election, preparations are in place to successfully conclude the current administration come May 29, 2019. As part of the process of transition, all agencies and departments under the Federal Ministry of Finance are directed to prepare their handover notes. 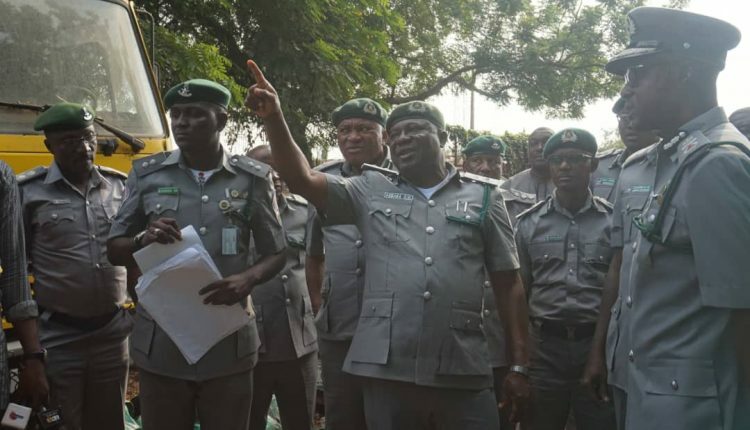 Following the alleged killing of one Godwin Onoja by operatives of the Federal Operations Unit, (FOU) A of the Nigeria Customs Service (NCS), on Sunday in Ogun State, the service has detained four of its officers over the incident. In a press statement obtained by our correspondent, the national Public Relations Officer of the command, DC Joseph Attah, said the service was in touch with the bereaved family of the deceased. According to Attah, the Comptroller General of the service, Hameed Ali (rtd), has set up a panel led by the Zonal Coordinator, to investigate the killing and vowed that any officer implicated in the killing would be dealt with accordingly. Recall that a Customs officer, ASCI Destiny Onebamho, on Sunday shot dead a Customs friend in a heated argument with members of a passenger bus in an attempt to intercept bales of used clothing. However, the Customs spokesman said: “Following the unfortunate incident on Sunday February 17, 2019, at Sagamu Interchange involving Operatives of the Federal Operations Unit Zone A, which led to the death of a fellow citizen, Mr. Godwin Agada Onoja, the Nigeria Customs Service has continued to maintain close contact with the bereaved family. The PRO who assured that the outcome of the panel would be made public for all Nigerians, further stated that the officers whose rifle discharged would also face the panel as soon as he was fit. “In line with this directive, the investigation panel headed by the Zonal Coordinator Zone A, ACG Kaycee Ekekezie, has interrogated and detained four members of the patrol team. “The panel could not immediately conclude the investigation because the actual officer (ASCI Destiny Onebamho) whose riffle discharged is presently receiving medical attention as a result of attack following the unfortunate incident. He will face the panel as soon as he is fit to do so, to enable the panel to conclude investigations and recommend appropriate action(s). Subscribe to The Republican News. Advertise with us, call us for press release. About six weeks to the 2019 presidential election, most Nigerians are probably unaware of the circumstances under which one of the frontrunners, Atiku Abubakar, left his first public service career 30 years ago. Mr Abubakar will be standing in the crucial election almost three decades after he left the then Department of Customs and Excise on April 30, 1989, over his disappointment at being denied the top position in the agency; and the lure of politics. He had joined the agency as a Cadet Assistant Superintendent on June 30, 1969, a few weeks after taking a diploma in Law at the Institute of Administration of the Ahmadu Bello University, Zaria. When he joined the Customs at the age of 23 years, he had drawn a graph anticipating his career progression from Cadet to heading the agency by age 40. “I told myself that if by the time I was 40 years old I did not head the organisation, I would quit,” Mr Abubakar said in his authorised biography, ATIKU: The Story of Atiku Abubakar. The 338-page book was written and published in 2006 by the late Adinoyi Onukaba, who at the time was Mr Abubakar’s Senior Special Assistant on Media. According to the accounts of Mr Onukaba, who died in 2017 while trying to escape a roadblock by armed robbers in Ondo State, Mr Abubakar’s joining the Customs was fortuitous. It was the period of the Nigerian civil war which broke out in 1967 as an immediate consequence of the first military coup of January 15, 1966, that sacked the Nigerian First Republic and the counter-coup that followed six months later. “As the war raged on, some radical university students did not feel comfortable with the general indifference of Nigerian students to the unfolding tragedy in the country,” Mr Onukaba stated in the book. “They began to mobilise their colleagues in support of the war to keep Nigeria one. There were demonstrations by students in support of the Federal Government. From Zaria, Atiku and other students marched to Kaduna to demonstrate against French support for Biafra. Twice they were arrested and detained briefly by the police. “Atiku, frustrated and disappointed, headed back to Zaria. “Before completing his diploma in Law programme in June 1969, a team from the Federal Civil Service Commission came on a recruitment drive to the university. The departure of Ibo from the Federal Civil Service and federal agencies and parastatals had left many vacancies. The team was touring Nigerian universities to interview graduating students interested in filling up such vacant positions. Fast-forward to 18 years later in 1987 and Mr Abubakar was appointed Deputy Director of Customs and Excise in charge of Enforcement and Drugs. As one of the six deputy directors, he was in the line of succession to the post of Director, as the head of the agency was then known. The incumbent, Abubakar Musa, was his friend but their relationship was no longer cordial. 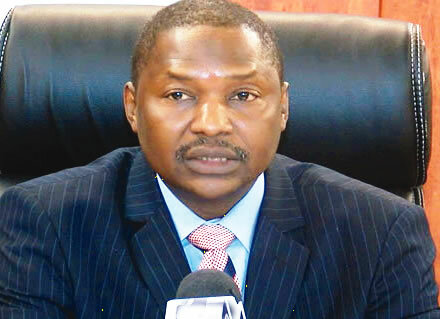 “Despite having played a role in Musa’s appointment by lobbying two key ministers (in the Second Republic), Ali Baba and Abubakar Iro Dan Musa, Atiku felt that as Director of Customs Musa surrounded himself with people who were telling him that he (Atiku) was after his job. “For eight years Atiku was kept on one rank – Assistant Comptroller. He was disappointed that his friend could allow people to come in between them and destroy a relationship of many years. It was only after Musa was retired that Atiku was able to move up. “He was promoted thrice – from Assistant Comptroller to Deputy Comptroller, Comptroller and Deputy Director – on the same day by the then Minister of Internal Affairs, Brigadier John Shagaya, who oversaw Customs following the removal of Customs from the Federal Ministry of Finance. “In the unending reorganisation of the Department by successive governments, the Customs, Immigration and Prison Service Board (CIPB) was established with the Minister of Internal Affairs as Chairman. The Board was responsible for appointment, promotion and disciplining of Customs staff. Mr Abubakar hoped to be appointed Director after Mr Musa retired from service and Mr Shagaya recommended him for the appointment to the then military president, Ibrahim Babangida. His father-in-law, Aliyu Musdafa who was then the Lamido of Adamawa, also put in a word for him following which Mr Babangida assured the traditional ruler that he would do it. “High profile appointments, such as Director of Customs and Excise, are political. Merit counts but political connection counts more. Atiku knew he had to lobby the right people and drop hints at the right places that he was available to lead the Customs,” Mr Onukaba wrote. Mr Abubakar was confident of bagging the appointment, more so too that he counted the military president among his friends. According to Mr Onukaba, “Since taking over power in 1985, Atiku had not asked him (Mr Babangida) for anything. The only matter before him was Shagaya’s recommendation for him (Atiku) to be appointed Director of Customs. It was a position for which he felt he was eminently qualified. He thought Babangida would not hesitate to give it to him. “Indeed, Babangida approved Shagaya’s recommendation. But before it could be made public, a group of eminent Gongola State (the state was later broken into the current Adamawa and Taraba states) indigenes in his government pleaded with the President to drop Atiku. “They said there were already too many functionaries of the administration from the state. If Atiku were appointed, they said, other states would protest the preponderance of Gongola State people in top government positions. “At the time, the Inspector-General of Police, Mohammed Gambo-Jimeta, the Chief of Air Staff, Ibrahim Alfa, and the Minister of Education, Jubril Aminu, were the most visible members of the government from the state. Murtala Nyako, then a Vice Admiral, was hoping to be made the Chief of Naval Staff. He might have also felt that giving the Customs top job to Atiku could affect his chances. “Some people considered Atiku already too powerful and uncontrollable in the state and they felt that making him the Director of Customs would give him too much clout. Atiku was seen as an upstart, a boy from nowhere who was already threatening those who saw themselves as the power brokers in Gongola State.’ They did not want somebody outside their circle to rise,’ was how an observer put it in an interview. “Babangida yielded to pressure from those people and appointed an outsider, Dr Bello Haliru Mohammed, as Director.” Mr Mohammed would later become National Chairman of the PDP. “Thrice he recommended him for retirement, but thrice Shagaya turned it down. Atiku went to see Shagaya and told him that he would like to leave service voluntarily because he did not want to be disgraced out of office. Shagaya advised him not to quit. Atiku had at least 10 more years to go in the service and Shagaya felt he could still head the agency before his retirement. “But Atiku’s soul was no longer in the Customs. He needed to move on. He had always wanted to work for himself anyway. He asked for his annual leave and it was approved. He left for the lesser hajj in Mecca, Saudi Arabia. “He enclosed in the letter the receipt of the payment into government treasury of his three months’ salary in lieu of notice. He had established Nigeria Container Services (NICOTES) with an Italian friend, Gabrielle Volpi in 1982 while serving as Customs Area Administrator at the Apapa Ports. The company was later renamed INTELS after it was seized by the regime of late Head of State, Sani Abacha. The new name was retained after the company was returned to the original owners after the death of Mr Abacha. “One of those Atiku consulted about his planned resignation was his old friend from Apapa Ports, Oyewole Fashawe. He visited Fashawe at Owo, his hometown. Like most of his friends, Fashawe advised him not to rush out of Customs until he had served as Director. But Mrs Lydia Ijamolayemi, Fashawe’s mother, had a different opinion. She advised Atiku to leave the Customs and embark on the journey God has destined for him. Mr Abubakar jumped into politics at the deep end of the pool. In fact, he was attending meetings of the political association of his friend and business associate, Shehu Musa Yar’Adua, a year before he quit the Customs. Mr Yar’Adua had retired from the Nigerian Army as a Major-General in 1979 after serving as Chief of Staff, Supreme Headquarters between 1976 and 1979. Mr Onukaba narrated how the paths of the two men crossed. “While in office one day, Atiku was informed that Shehu Musa Yar’Adua, the retired Major-General and deputy to Obasanjo, was waiting to see him. Atiku invited him in. The General entered and they greeted each other warmly. It was the first time Atiku was meeting him. He was simple and humble. “Yar’Adua wanted an import license to bring beans from Niger Republic for sale in Nigeria. Since leaving office in 1979, the General had gone into business to keep body and soul together. His business included agriculture, banking, shipping and manufacturing. Some of them, such as agriculture, banking, shipping and manufacturing businesses had been disastrous, due largely to unstable government policies, mismanagement and inadequate supervision. Now, the General wanted to try his hands at buying and selling. “Atiku told him that he would have to write an application to President Ibrahim Babangida for an import license. He showed him how to write it. Yar’Adua thanked him and left. He wrote the application as Atiku had advised and Babangida gave his approval. “He obtained the import license, imported the beans from Niger Republic, sold it and made a lot of money. He felt he needed to show appreciation to the Customs officer who had assisted him. He offered Atiku a token of appreciation, but Atiku declined, saying it was not necessary. He said he was just doing his job. “Yar’Adua was highly impressed. In an organisation known for its endemic corruption and other unethical deals, he was happy to find one decent officer. From that day, a friendship developed between Yar’Adua and Atiku. They discovered they had a lot in common: they had both been big time farmers; both had interest in maritime business; and they shared a common vision for Nigeria. In fact, Mr Abubakar’s involvement in partisan politics dated much further back to 1983 when he worked for the election of Bamanga Tukur of the then National Party of Nigeria as governor of the Gongola State. He said he had always been involved in the affairs of his immediate community in the state. “I was spending all the money I had to assist people and the community. If people needed employment, they came to me for assistance. As much as our people appreciated my little contributions, I felt I was not doing enough. I began thinking seriously about the possibility of using political power to transform the lives of our people, of using political power to help more people and to continue to render social services, but this time, on a grander scale. Honestly, this was when I really began to consider going into politics after retiring from service,” Mr Abubakar explained. By 1988, Mr Abubakar had started attending regular meetings at Yar’Adua’s Ikoyi home. Earlier in 1987, on the second anniversary of his coup, Mr Babangida set up a 46-member Constitution Review Committee and a Constituent Assembly to debate and adopt a new Constitution. He also created a National Electoral Commission (NEC) and placed a ban on past politicians from seeking and holding public office for 10 years effective from the date the ban on politics would be lifted. “While waiting for Babangida to lift the ban on politics, Yar’Adua and his group began to put together the structure of a political party. “A month after Atiku formally left the Customs, the Babangida administration lifted the ban on politics in May 1989. The President also announced a revised transition timetable that would lead to the establishment of elected civilian government on October 1, 1992. “The Yar’Adua group immediately unveiled its political association, the People’s Front of Nigeria (PF). At its first national convention in June 1989, Atiku was elected one of the National Vice Chairmen of the party. “Atiku had won the position as a result of his substantial contributions to the association… Among the original founders of the association, he was the wealthiest and had one of the widest contacts. He and Yar’Adua paid the initial expenses of the PF. Instead, he set up two new parties, the Social Democratic Party (SDP) and the National Republican Convention (NRC) and asked politicians to join either of the two. Although Mr Yar’Adua, like other politicians, was shocked that Mr Babangida refused to register his association, he and his group later joined the SDP. That very year, Mr Abubakar ran a tempestuous race against his local political rival, Bala Takaya, for the SDP governorship ticket in Adamawa, which led to both of them being banned from the race by Mr Babangida. In 1993, he was drafted by the Yar’Adua group to run for the presidential ticket of the SDP, after Mr Yar’Adua had the previous year been banned following the cancellation of the party’s presidential primary which he was on the verge of winning. He came third in the first ballot, behind the late Moshood Abiola and Babagana Kingibe. He supported Mr Abiola to win the race during the second ballot. The Nigeria Customs Service said it recorded its highest ever monthly revenue of N140.4 billion in August 2018. The Customs Public Relations Officer, Mr Joseph Attah revealed this on Tuesday in Abuja. According to Attah, the Comptroller-General of Customs, Col. Hameed Ibrahim Ali (rtd) said the improvement was as a result of the dogged pursuit of several reform programmes. Ali highlighted some of the reforms to include strategic deployment of manpower and upgrade on the electronic systems from Nigeria Integrated Customs Information System to NICIS II which had succeeded in blocking leakages. He also said the increase in revenue was as a result of strict enforcement of extant guidelines by the NCS Tariff and Trade Department and robust stakeholder engagements resulting in higher compliance. The NCS boss said the increased disposition of officers and men to change their way of doing things for the better had impacted positively on the organisation’s productivity. “The implementation of the three-pronged Presidential mandate of ‘Restructure, Reform and Raise revenue’ in NCS has continued to strengthen the service as a crucial contributor to national economy and Security. “The service has effectively seized 156,090 bags of smuggled rice, 15,632 sets of military wears, 489,000 ammunition and other items. “This is in addition to the highest monthly revenue collection of over N140 billion in August 2018. “This positive harvest in the areas of anti-smuggling and revenue generation is a clear testimony of what can be achieved under a selflessly focused leadership,” Ali said in a statement. The NCS boss called on Nigerians to support the Service by providing credible information that would help nip smuggling in the bud and generate the needed revenue for national development. The News Agency of Nigeria reports that in the month of July, the NCS declared N556.7 billion as revenue generated from January to June, 2018. Comptroller General of the Nigeria Customs Service (NCS), Col. Hameed Ali (rtd) yesterday stressed that but for the love of country; President Muhammadu Buhari has no reason to remain in Aso Rock, in his current age of over 70 years. The Customs boss, who stated this when he led the Buhari Support Organization to meet with the President, said Buhari has made a great sacrifice by choosing to abandon his comfort zone in order to serve Nigeria and improve the lives of the citizens. “I have said it and I will repeat it here, Mr President, with all due respect, at 70 plus, with a good retirement benefit and with your house in Daura, if I were you, I will see no reason to be in this arena. “But why are you here? It is because you love this great country. You left your comfort to serve Nigeria and that is why for those of us who love you for who you are, said we must follow you and ensure that your second term in this country becomes a reality,” he said. Buhari had told a gathering of Nigerian citizens resident in South Africa in June 2015, a month after he was sworn in, that there was a limit to what he could do given that age was no longer on his side. “I wish I became Head of State when I was a governor, just a few years as a young man. Now at 72, there is a limit to what I can do,” Buhari told his audience on the sidelines of the 25th assembly of Heads of State and Government of the African Union in Johannesburg, South Africa. While speaking yesterday, Ali explained that the three years of the Buhari-led government has changed Nigeria for the better. He said: “Today is 2018. Way back in 2014, for those who did not know when you talked about your integrity, your achievements as a governor, as a minister, those that have gone are the ones who will understand what we are talking. Those of us who have experienced these past years know exactly what it was. “But today, 2018, those of us here know that your being president has changed this country. Three years into your tenure, the tremendous achievements that have been made, we have laid the foundation, we have started building roads, but Mr President, we must complete the building. “What do we need to do? We must, as your loyalists and people who believe in this country, tell you that we are with you shoulder to shoulder and ensure that you are re-elected. And then the building will be completed so that never again will there because to destroy Nigeria,” he added. Ali continued that: “For me, you have been my mentor in service and out of service and I have been fortunate enough to have worked very closely with you. And so when I say some of these things I am saying, it from the bottom of my heart because I know you, I know your commitment and your respect to this great nation. “Mr President, it is always politics, and when politicians speak, they speak with two sides of the mouth. Some of us from the North-East were not praying in the mosques, some of us from the North-East had moved from our places of abode to settle somewhere else. And Mr President, here in the city, the seat of government, there were booms going off every day. “Today, we can sleep with eyes closed, today I drive at midnight, today we can breathe the air and most importantly, those of us who are Muslims can pray in the mosques during Ramadan. That would never have happened. I remember as far as Kaduna is from the North-East, we could hardly sleep at night because of insecurity. Today, we have that security. What else are we looking for? Ali said that with the achievement recorded by the government, only lazy people who chose not to work, are presently lazy. “What more can we say in terms of growth of wealth? People say we are hungry; of course, the lazy must be hungry because if you do not work hard, Manna doesn’t fall from heaven. The Nigeria Customs Service, Tin Can Island Command, on Tuesday, intercepted a container laden with 440 arms and ammunition of various sizes and designs. Speaking about the seizure, the zonal commander, Tin Can Island command, Monday Abue, who represented the Comptroller-General, NCS, Col. Hameed Ali (retd. ), said that the cargo was shipped from Turkey. He said that the consignment was declared as Plaster of Paris by the importer. Abue explained that the container with registration number PONU 210024/1, was picked up based on intelligence report, adding that investigations were ongoing to unmask the importer. According to him, the pump-action rifles were manufactured in the United States of America and Italy. He said, “They are pump-action rifles of various designs and also the single-barrelled devices that you are familiar with. According to Abue, the nation had been saved from another round of problem that the rifles would have caused. The PRO of the command, Uche Eiesieme, in a statement issued after the press briefing, listed the rifles seized as 100 pieces of Black Tornado single-barrelled rifles, 75 pieces of Silver Magnum single-barrelled rifles, 50 pieces of Altar pump-action rifles, 215 pieces of Black single-barrelled rifles, among other accessories. The development is coming after a similar seizure of 661 pump-action rifles early in the year by the NCS, Federal Operations Unit, Zone ‘A’, Ikeja, along the Mile Two-Apapa Road in Lagos. The rifles, according to the Comptroller-General of the NCS, were imported from Turkey and routed through the Apapa port. Meanwhile, Sifax Group, owners of Ports and Cargoes Handling Services limited, has refuted the report carried by several online news media that the seizure was made inside the ports and cargo terminal.